There has been a frenzy of media coverage recently about growing business opportunities in Quebec. From the rise of the clean tech sector, to global interests in the province for cypto-mining and Montreal’s growing profile as an AI and technology hub, many organizations outside of the province are eager to do business with Quebec. 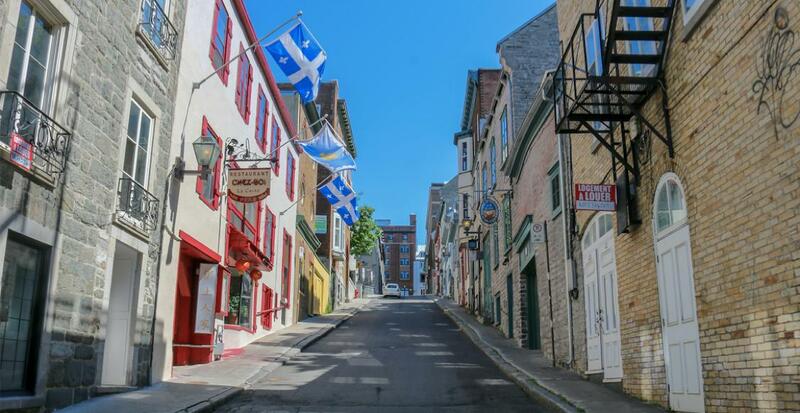 A National Post article described Quebec’s economy as a new powerhouse, with a headline that read, “It’s raining money.” Some media have even described Quebec as Canada’s new Alberta. We have had the pleasure of watching several of our clients grow their business by expanding into Quebec and other French Canadian markets in Ontario and the Maritimes – often starting with just one, strategic, new bilingual hire. Whether it’s a sales position, or customer service, finding the right go-getter personality who can serve clients in both French and English often results in significant revenue growth. Many of our clients have told us that such a move was one of their wisest business investments. This makes sense given that more than 7.2 million Canadians say French is their mother tongue according to the latest census data. This represents more than 22% of our population. 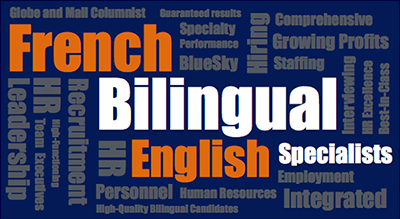 When hiring personnel to serve this region, it’s important to find talent that not only knows how to speak French fluently but also understands its unique heritage and social/business culture. For example, did you know that generally-speaking, Quebecers tend to be very expressive? They use their hands a lot when they speak and are known for being straightforward and direct. They are not necessarily soft-spoken, rather, they can come across as very intense and passionate. Personal space: when it comes to body language, the usual distance between two people in Canada should be about two feet, however the typical comparative distance among French Canadians is less – they tend to stand slightly closer to each other. Addressing people in business situations: while in English, “Ms” is usually used as a default for women (since their marital status is a private matter), in French Canada, Madame is used as the default. This is an interesting contrast since in English, Madam is often used sarcastically. It is also sometimes associated with managers of brothels! Tu versus Vous: despite the fact that French-Canadian culture tends to be more hierarchical and formal in nature, in Quebec, the informal tu (meaning “you”) is used to address people much more freely than in France or other French-speaking countries, where people opt for the more formal vous (also meaning “you” both formally and when referring to plurals). However, in business situations it’s always safer to stick to “Vous”. The 24-hour clock: French Canadians’ usual business day is not 9—5, rather, it is 9:00 to 17:00. Value for work-life balance: Quebecers place a lot of value on work-life balance – much more so than other Canadians or Americans. Although not an official statutory holiday, January 2nd is often recognized as a holiday by companies in the province. How perfect – to be able to recoup with a full day after a memorable New Year’s party! Business runs on relationships in Quebec: French-Canadians have a term called: Cinq à Sept (5 to 7) which refers to going out after work for drinks with co-workers or attending networking events. Quebecers like to work with people they trust, and that often starts with speaking the same language. At BlueSky, we get a lot of calls from French-speaking clients outside of Ontario. The fact that we can speak French fluently builds rapport instantly and that definitely influences their decision to work with us. Many French/Bilingual candidates connect with us in the same way. Franglais or Frenglish: it’s important for Bilingual hires to understand and even use unique colloquialisms in the Quebec market. Franglais or Frenglish are mixes of French and English words that an otherwise native speaker wouldn’t understand. For example: “liker” or “liké” signifies a “like” of something on Facebook or Instagram, and “bruncher” means to have brunch (taking the English noun and turning it into a French verb). If you are interested in knowing more about the business potential in the Quebec market, and what hiring French/Bilingual personnel can mean for your sales, give us a call today.